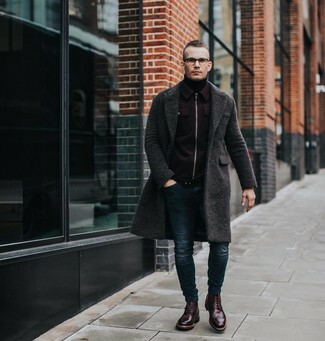 If you're scouting for a casual yet seriously stylish outfit, wear a Topman classic fit turtleneck sweater and black skinny jeans. Both items are totally comfortable and will look great paired together. 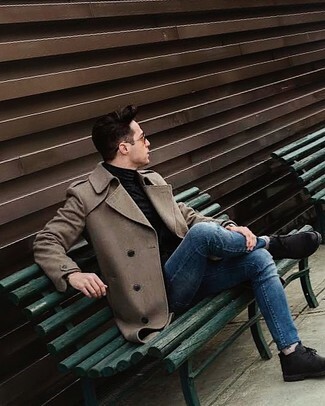 A pair of black leather derby shoes adds some real flair to this look. If you're scouting for a casual yet dapper ensemble, consider pairing a Topman classic fit turtleneck sweater with blue jeans. Both pieces are totally comfortable and will look great together. If you're after a casual yet dapper getup, opt for a Topman classic fit turtleneck sweater and blue skinny jeans. Both pieces are totally comfortable and will look great together. Got bored with this outfit? Enter black suede desert boots to switch things up. For a casually elegant ensemble, wear a black turtleneck with black check dress pants — these items fit nicely together. When it comes to shoes, this getup pairs wonderfully with black leather derby shoes. 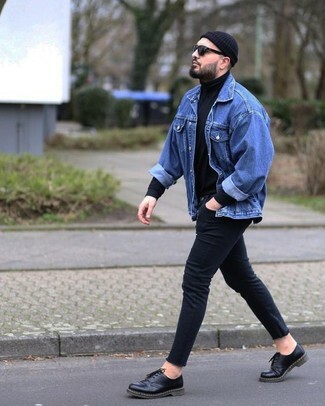 If you're looking for a casual yet on-trend outfit, opt for a Topman classic fit turtleneck sweater and light blue jeans. These garments are very comfortable and they also look great together. Kick up the cool of your look by wearing black leather derby shoes. 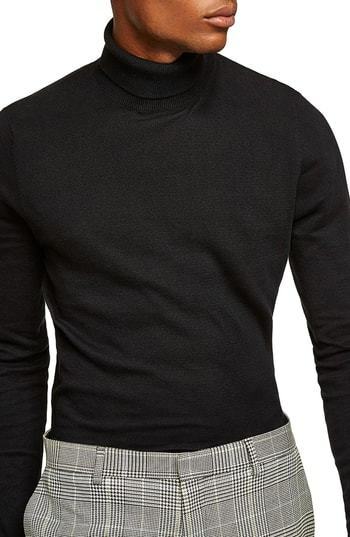 If the setting allows a relaxed look, wear a Topman Classic Fit Turtleneck Sweater with navy skinny jeans. Feeling inventive today? Shake things up with burgundy leather brogue boots. 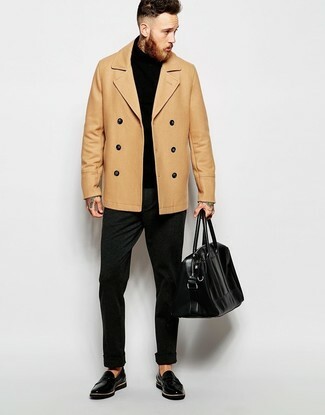 Pair a Topman classic fit turtleneck sweater with charcoal wool dress pants like a true gent. For something more on the daring side to finish off this ensemble, choose a pair of black leather loafers. 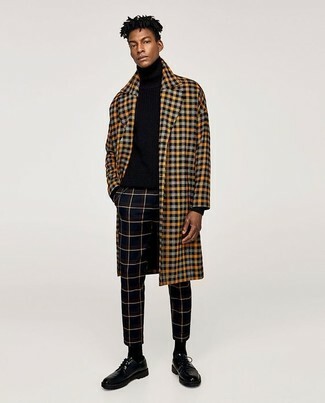 Opt for a Topman Classic Fit Turtleneck Sweater and grey plaid dress pants if you wish to look seriously stylish without exerting much effort. 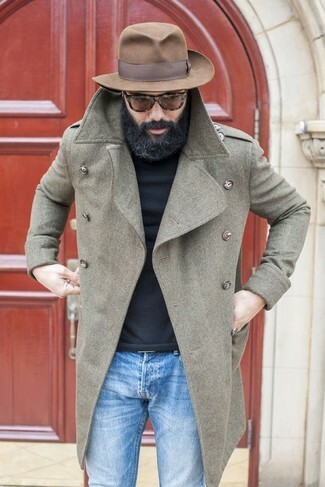 Black leather chelsea boots are a stylish addition to this look. 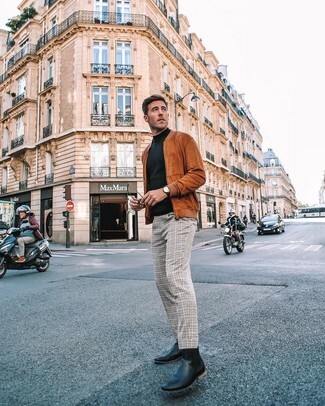 For a nothing less than incredibly stylish ensemble, reach for a Topman classic fit turtleneck sweater and grey wool dress pants. When it comes to footwear, this getup pairs wonderfully with black leather chelsea boots.